State Bank of India (SBI) conducts objective type exams regularly for the recruitment of clerical cadre. SBI Clerk Exam is conducted in two phases i.e. preliminary and mains exams. Candidates who qualify both the phases will be selected as Clerks in the State Bank of India. 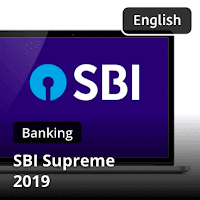 This year's notification for SBI Clerk recruitment has been released by the bank and you all must have already started to prepare for the same. When you prepare for a competitive exam, you should keep yourself abreast of what was asked in the previously conducted exams for the same recruitment process. 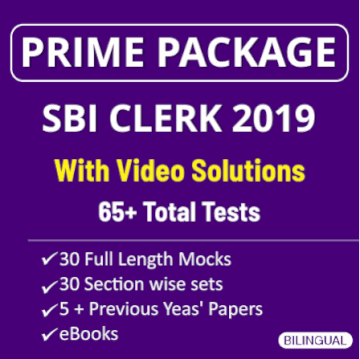 If we talk about SBI Clerk 2018-19 Exam, the preliminary examination was conducted in the month of June and the main exam was conducted in August 2018. This section had 50 questions and a time limit of 35 minutes. Overall the level of this section was Moderate. Most of the questions were from the current affairs of May, June and July. 8-10 questions related to Banking and Financial Awareness and 4-5 questions were asked from static general awareness portion.